A high of 52F, gloomy all day with the occasional whip of wind and a chorus of tinkling as the snow drips from high places. 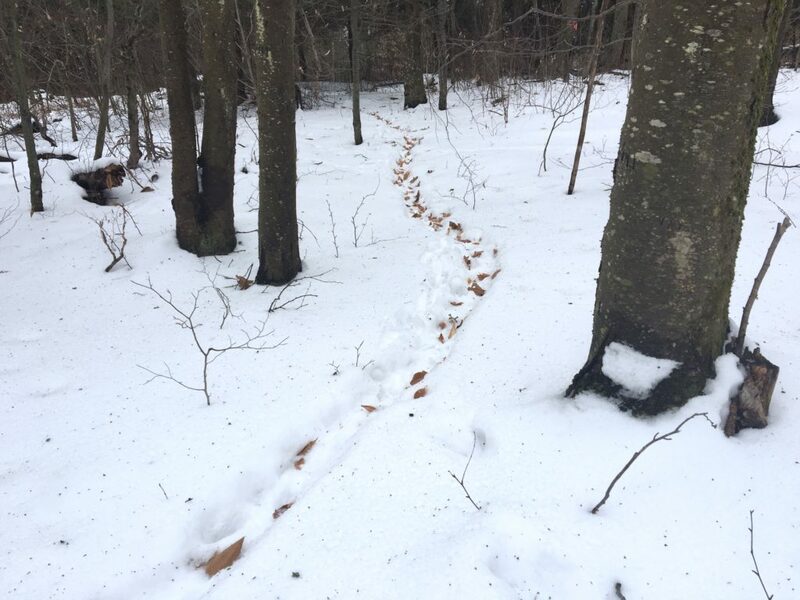 An anonymous critter’s regular commute back and forth from a large cave into the hemlock stand melts slowly to reveal a trail of crushed ash leaves. This entry was posted in Daily Catskills and tagged Catskill Mountains, Catskills, Catskills Photography, I love NY, Upstate Living, Upstate New York, Upstate NY on January 11, 2018 by JNUrbanski.